Take one bowl, add yogurt, sugar, salt, roasted cumin powder, whisk well, keep it in refrigerator. Take one bowl, add potato, onion, salt, panipuri masala, red chilly powder, mix well. Take serving plate, arrange 4 to 5 crispy flat puris. Spread potato mixture. 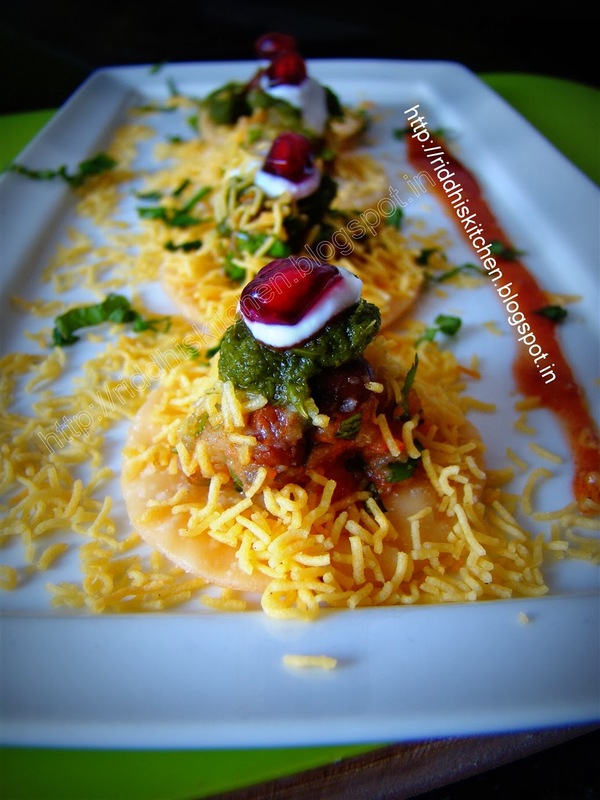 Drizzle dates and tamarind chutney and greenchutney, yogurt on each papdi. Top up with nylon sev, fresh pomegranate seeds and serve it.